MWM NEWS BLOG: Chinatown, San Francisco. Good times painting this big IsoGeo mural over the weekend in Chinatown, SF. 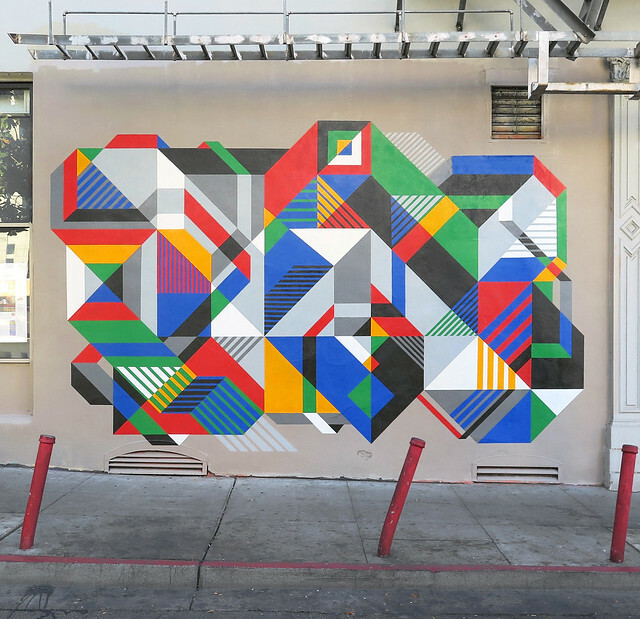 I have had these colors in storage since Shadovvs exhibition last summer in SF so it was great to put them to good use on a street level piece that explores the same isometric op-art geometry. 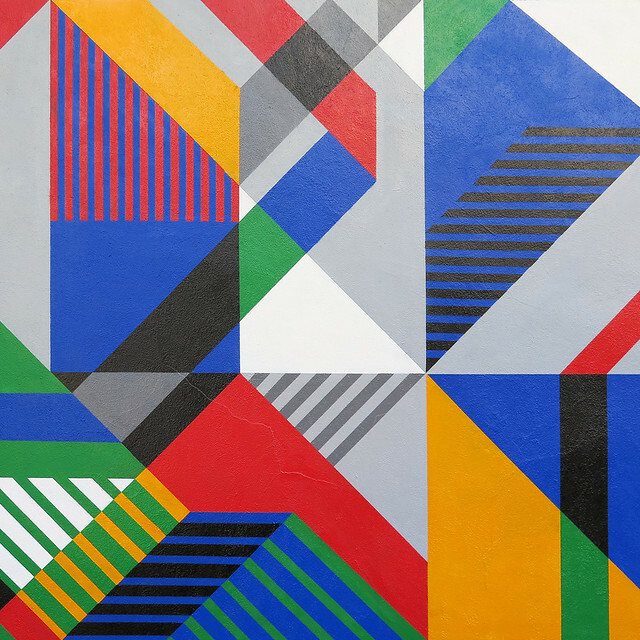 The 15' x 20' mural is at 748 Clay St. right at corner of Portsmouth Square Park in historic and bustling Chinatown. Big thanks to Dee Rock and my team of assistants Will Moran, Aliks Mahn, Trandeuces. Stay tuned for a rad process video by Stebs.